Your goals should be at the heart of your financial plan. In practice, you may have multiple goals, a varying risk profile, and multiple horizons, making financial planning a complex process. 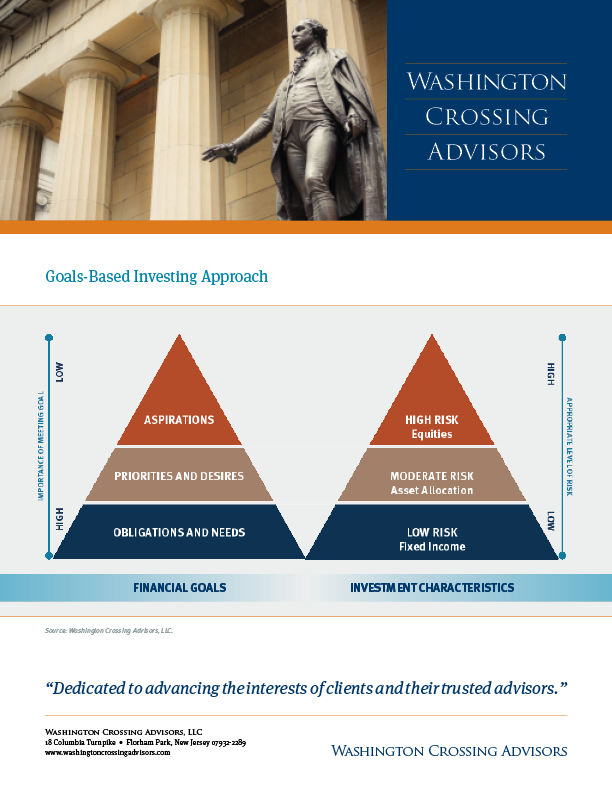 A goals-based investing approach starts with consideration of goals and needs. You and your advisor then estimate how much of your portfolio should be invested in lower-risk assets to meet your most critical needs and obligations. Once these needs are covered, excess portfolio assets can then be allocated toward meeting other priorities and desires. Finally, any excess capital above and beyond basic needs, priorities, and desires can be allocated to “aspirational” goals. This approach typically leads to a well diversified portfolio which can be easily understood and implemented.